A few weeks ago, I participated in a challenge to use a grid design, pink and a heart on a project. I created a couple of these cards using an older Stampin' Up! set. It is one of my favorites but it currently in my Use It/Move It box. I've tried to move this one out before and I always put it back in my stash. I just love the cards it makes but then I only use it every couple of years. Maybe this time, I really will sell it. 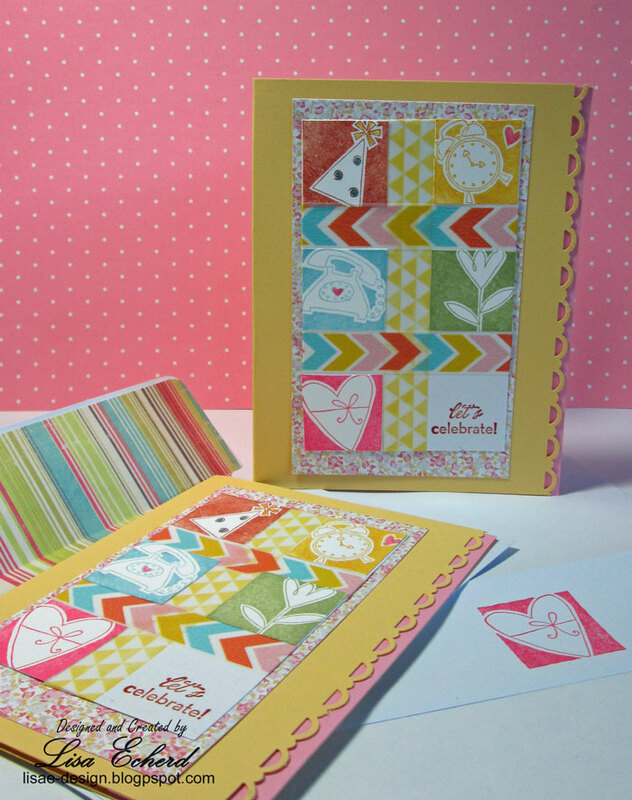 For the card, I stamped the images in various colors and arranged them between strips of Washi tape.